The Olympic Games in Rio are shaping up to be incredibly entertaining, in the same sense that one watches a kindergarten play to see how long it takes the kid in the bunny costume to wet himself and run away. 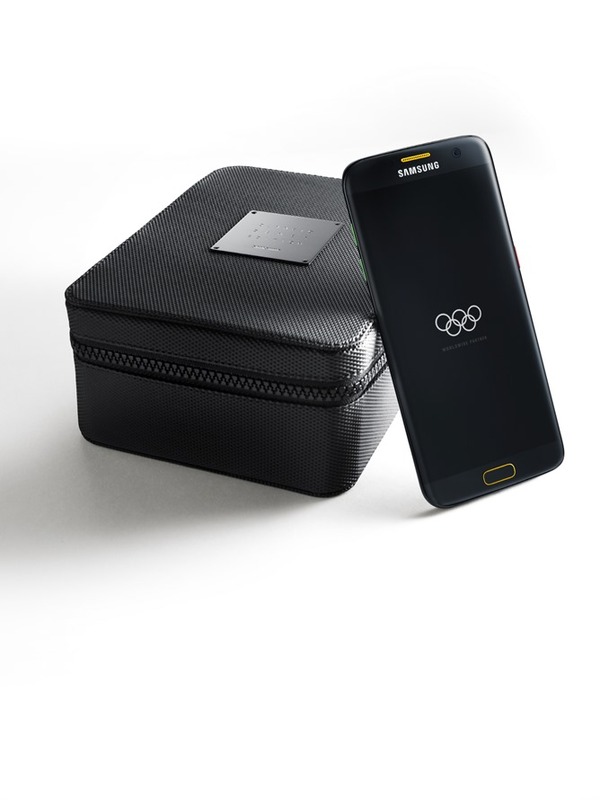 But for those of you who still believe in the spirit and the majesty of the Olympic Games (you, in the back, stop that chuckling), Samsung has produced a limited edition of its flagship device with an official license. 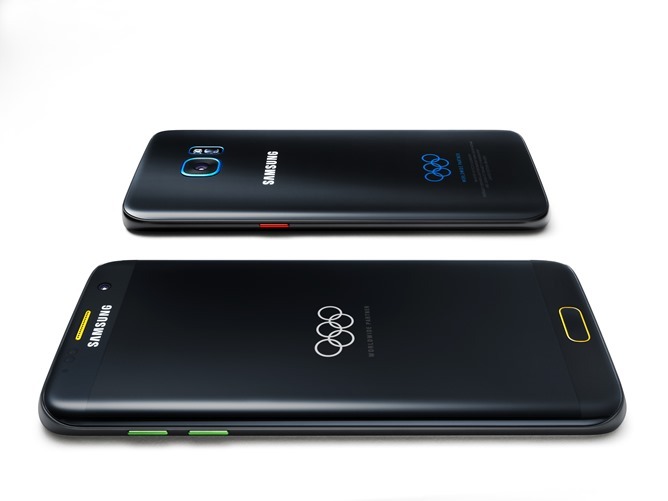 This time it's the Galaxy S7 Edge in black, with gold, blue, green, red, and white trim to match the colors of the Olympic rings. The limited edition was leaked last month. The colors are a bit garish in a Fisher Price sort of way: the phone is glossy black with yellow trim on the front-facing speaker and home button, green on the volume buttons, red on the power button, and blue around the camera and on the Olympic "Worldwide Partner" logo on the rear. The multi-color design will extend to exclusive wallpapers and a customized UI. It's certainly striking, but not quite so appealing as the two-tone Batman version of the same phone. Samsung will give 12,500 Limited Edition phones to athletes at the Rio Olympics, along with a free pair of Gear Icon X earbuds. Want one for yourself? There will be an extremely limited run of 2,016 phones made available to the public, though only in "selected countries" that include the US, Brazil, China, Korea, and Germany. They'll go on sale starting July 18th, but at the moment there's no price tag. 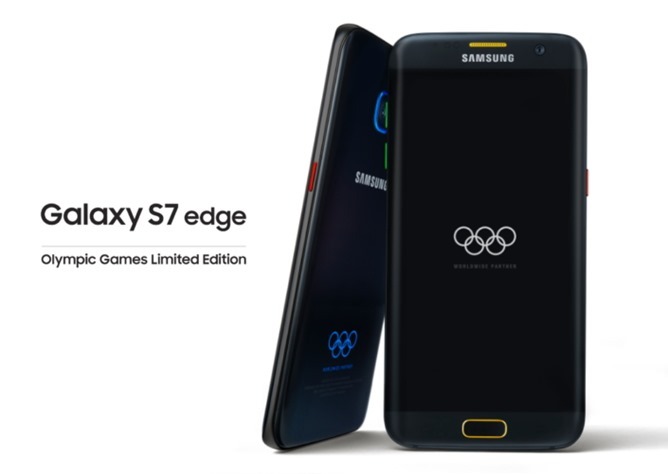 A PR representative from Best Buy said that the retailer will be the exclusive seller of the limited edition Olympic Galaxy S7 Edge in the United States. There's still no information on the price of the phone. 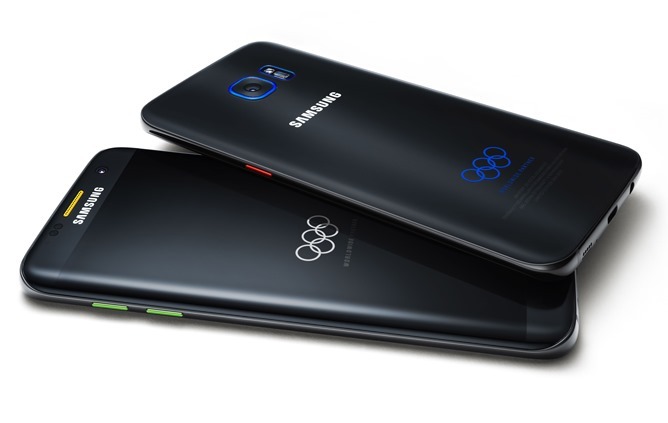 Seoul, Korea – July 7, 2016 – In celebration of the Rio 2016 Olympic Games, Samsung Electronics Co., Ltd., Worldwide Olympic Partner in the Wireless Communications Equipment category, today unveiled the Galaxy S7 edge Olympic Games Limited Edition in Sao Paulo, Brazil. Samsung also announced the Rio 2016 app and on-the ground activations throughout Brazil to mark the official launch of Samsung’s global Rio 2016 Olympic Games campaign. 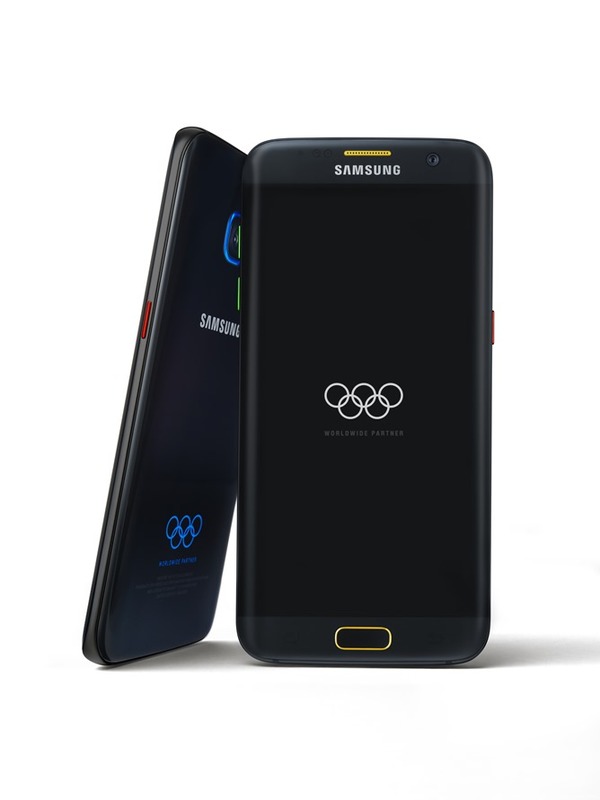 For the first time ever, the Rio 2016-inspired device incorporates an Olympic Games design embedded into the phone itself, featuring a custom colorway pattern including the five official colors of the Olympic Rings. The colors of the Olympic Rings will also be prominent in the phone’s user interface in the home and lock screens as well as the message, dial and contact screens and notification bar. Pre-loaded Rio 2016 Olympic Games themed wallpapers will also be available. Athletes will also receive Samsung’s newest smartphone accessory, the Gear IconX cord-free earbuds, which offer a new fitness experience with an in-ear heart rate monitor and standalone music player. When paired with smartphones, they can track fitness updates through the S Health app. In the lead-up to and during the Games, fans are invited to interact with Samsung’s latest technology and connect with the Olympic Games at Samsung Galaxy Studios. The interactive studios will feature a variety of activities, including enhanced virtual reality experiences where fans can feel the exhilaration of various Olympic sports first-hand. A new and unique 4D VR offering will be available at select Studios where fans can step outside their comfort zones and into specially designed seats to feel the high-speed thrill of kayaking, a ride that has to be felt to be believed. Studio visitors will also have the opportunity to collect specially-designed Olympic Games pins, including 22 Olympic Games sport-themed pins, as well as eight sets of special pins designed with symbolic elements of Brazil. The Galaxy Studios will also provide opportunities to test out and purchase Samsung’s newest products, participate in games, and more. In addition to three Galaxy Studios in the Olympic Park, Samsung will have several studios throughout Rio, Sao Paulo, and local cities in Brazil. The official application of Rio 2016, “The Rio 2016 App”, developed by Samsung in collaboration with the Rio 2016 Organizing Committee, provides athletes, fans and consumers with 24/7 updates on all of the latest Olympic news. The app will be updated in early August to provide the official Olympic Games schedule, venue and event information, results, medal counts, and more real-time updates. Samsung Galaxy phone users can also use the S-translator customized for the Olympic Games. The Rio 2016 Official Application is available for free download through the Samsung Galaxy Apps, Google Play for Android, App Store for iOS, and selected App Store in China as well as the Windows App Store. The “Olympic Athletes’ Hub” app, developed by the IOC, will be installed on each Olympian device, where they will find relevant information to make the most of their experience at the Olympic Games Rio 2016. With the app, athletes will be able to reach out directly to the IOC and the IOC Athletes’ Commission and can also learn about all the resources and programmes the IOC is making available to athletes.